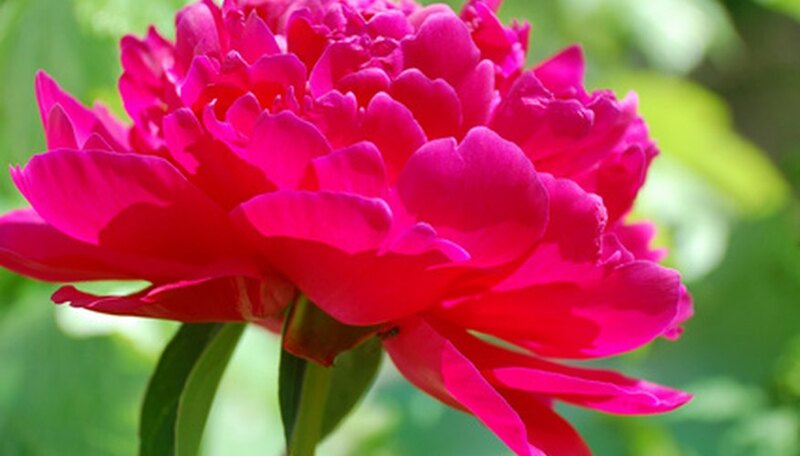 Minnesota has a long history of peony culture. Oliver F. Brand established Brand Peony Farms near Richland, Minnesota, in 1867 and hybridized many varieties. Other nurseries followed, and growers founded the Minnesota Peony Society more than 100 years ago. Minnesota's climate suits peonies, which originally grew in temperate areas of Europe and Asia. 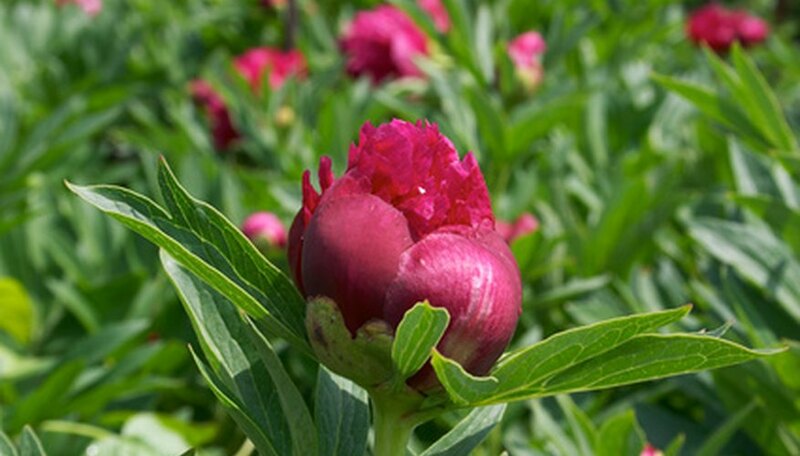 In fact, some landscapes in the state are home to peony plants that have grown there for 30 years or more. Although these long-lived plants are tough and hardy, they require proper fall pruning to stay healthy. Wait until the first hard frost of autumn to cut down peonies. Even if there are no blooms, the foliage is still feeding the roots. 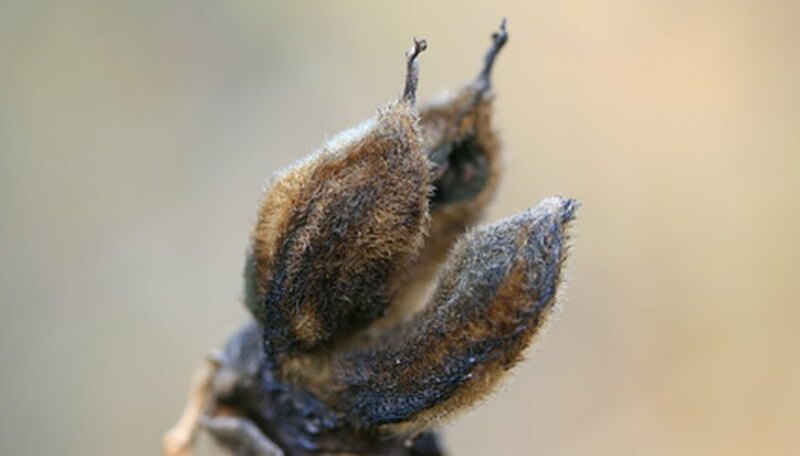 Prepare a 10-percent bleach solution to kill botrytis blight and other fungal diseases that often hide on healthy plants. If a peony is obviously diseased, do not wait until the first frost to prune the diseased plant. Cut the peony stems within 2 inches of the ground. 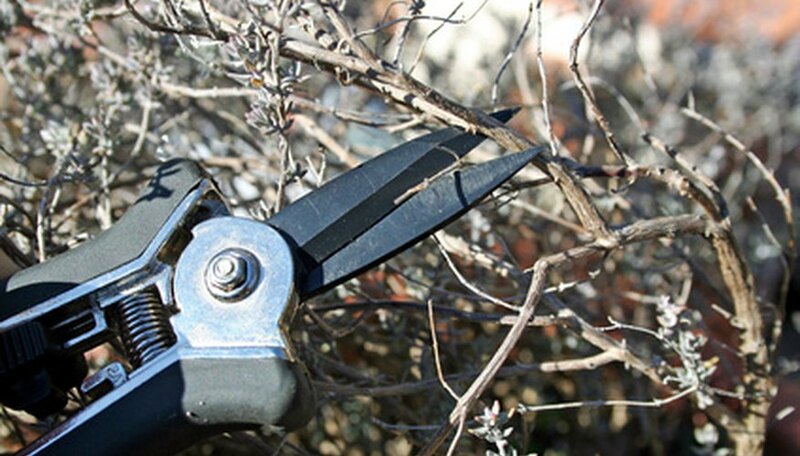 Spray or dip the pruning shears into the solution between cuts to kill any pathogens and avoid transferring them to other plants. Dispose of the cut stems and leaves in the trash. Tossing most yard debris into the compost bin is an earth-friendly habit, but peony trimmings may harbor pathogens that will harm the plants the next season. Do not compost the trimmings or else you risk tainting the compost with disease. Adding a light layer of compost in the fall improves the soil over the winter and makes nutrients readily available in spring. When cut peonies begin to sprout in the spring, place a tomato cage over the plant to provide support. Water peonies at the base of the plant. Overhead watering, which wets the leaves, creates disease-encouraging pockets of moisture. If you prune peonies too early in the season, the plants will starve and the peonies will not have enough stored energy to grow well in the cool Minnesota spring. Although they are tough plants, starved peonies fail within two or three seasons.